Ask any recently married couple to reflect on their wedding day and between gushing about how delicious the food was and how surprised they were to enjoy the ceremony as much as they did, they'll most likely say this: it goes by WAY too fast. After spending on average between 12 - 16 months planning the dream day, 24 - 48 hours feels like it goes by in the blink of an eye. But there are ways to make sure you get the most out of your special day by planning ahead and knowing some crafty ways to save time throughout the day ahead of time. Professional wedding photographer Katya Koliban has seen her fair share of weddings and has some brilliant practical tips on how to save time on your day by being smart about how and when to have your 'official' photographs done. 2. During your drinks reception, have your bridal party photographs taken first and then ask them to gather your family for their photos. Use the time it takes them to gather the family for your official couple photos. This way you're saving time doing things simultanuously. 3. If everything is running late, prioritise your own photos - these shouldn't take a long time. As the bell rings for dinner, get your family to stay back, and this way you can get the family snaps done quickly. 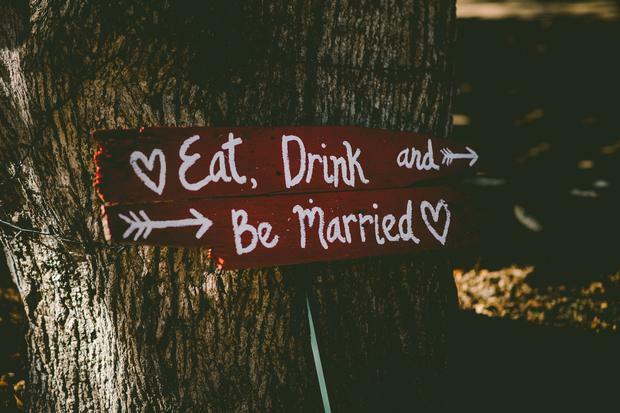 Have you any tips on saving time for the big day? Let us know how you plan to get your timetable to run smoothly on the day by leaving a comment on our Facebook post! Anna K How do I stop someone from giving a speech at my wedding?